Spiritual Capitals, Monuments of Love, & Bengal Tigers! A 12 day journey throughout the Golden Triangle, spiritual capital of the world, most beautiful monument to love ever created, & one of the last places tigers roam free! 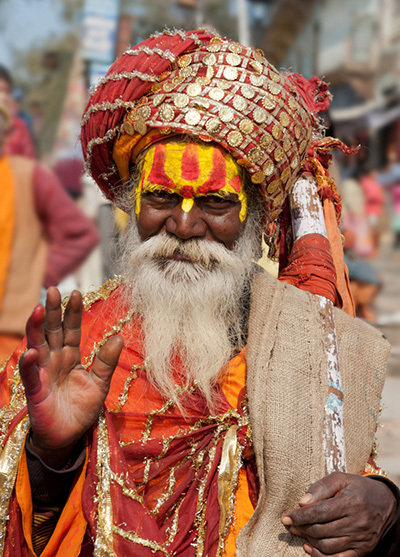 Our India small group tour combines the best on & off the path places we can fit into a 2 week trip! From the Taj Mahal to the brilliance of Jaipur, to amazing cultures & spiritual extravaganzas in Varanasi, and a chance to witness & photograph tigers in their natural habitat, we’ll get up close and personal in a world that might as well be on another planet! With a history over 5000 years old and the very first civilization in the world, “The Indus Valley Civilization”, India is truly an ancient cultural and geological wonder. It is the seventh-largest country by area and the second-most populous country with over 1.2 billion people. Ancient monuments and century’s old traditions set the backdrop for the world’s largest democracy. Separated from mainland Asia by the mighty Himalayas, the Indian subcontinent is surrounded by three large bodies of water: the Bay of Bengal in the east, the Arabian Sea in the west, and the Indian Ocean to the south. 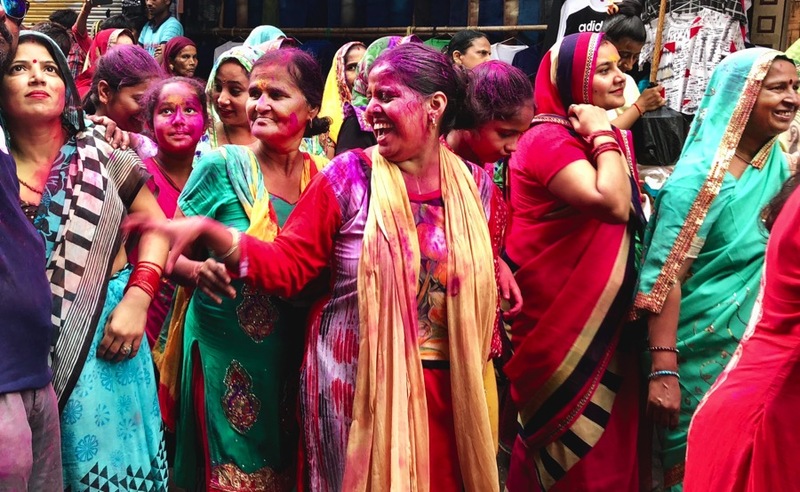 Without a doubt, India is arguably the most diverse country in the world on many levels! 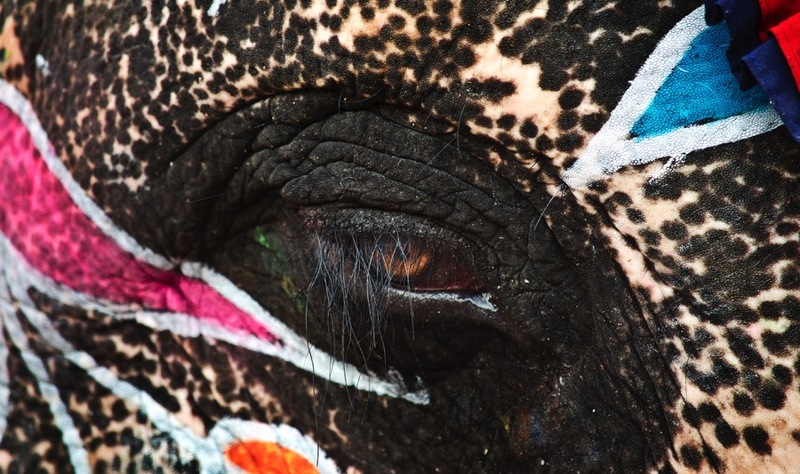 India’s capital and political hub is an ancient city that has something for everyone. 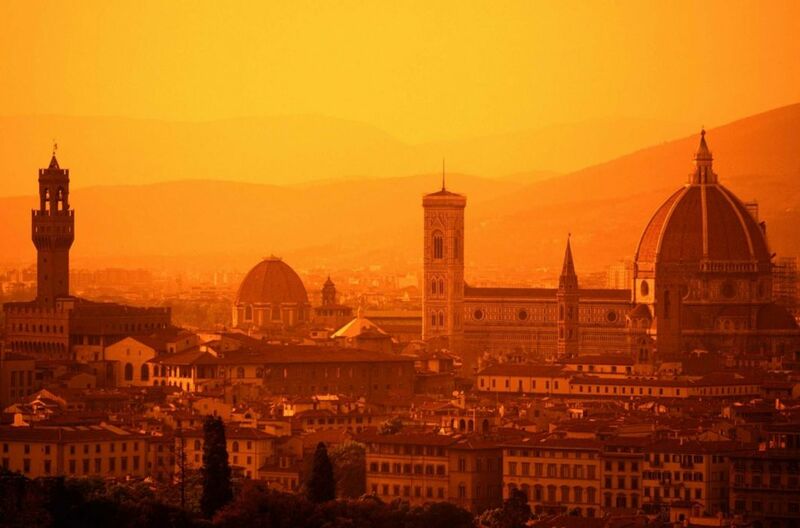 Settled seven times over the centuries, this city has grown in a way that reflects its past, while retaining its cosmopolitan flavor. Delhi is India’s showcase, be it architecture, religion, shopping, culture – everything is available here waiting to be discovered. * Explore Old Delhi: Highlights include Asia’s largest mosque (Jama Masjid), rickshaw ride through the heart of Old Delhi, & ancient Silver market. * Experience New Delhi: Highlights include the India Gate, built in memory of Indian soldiers killed during the First World War, Rashtrapati Bhawan, built in the early 20th and today the official residence of the President of India, Parliament House, a unique circular building with huge colonnades, Humayun’s Tomb, the first Mughal garden tomb, with its four grand gateways, octagonal base-plan, soaring niche-shaped arches, lofty double domes and a symmetrical garden with its central canal, & 70-meter high Qutub Minar, which looms majestically across the wide plains of Delhi! * Assi Ghat (Riverbank): Explore the fascinating river side. Behind the Ghats hide narrow and puzzled alleys excellent for cultural photography. Real Varanasi lives inside these alleys and truly looks different than any other place on our planet! 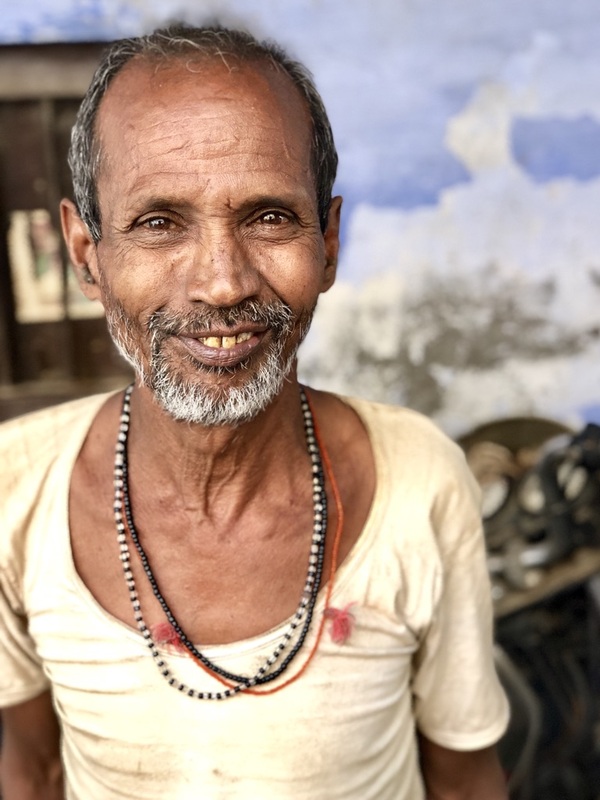 Beautiful people, temples and shrines, monasteries, cultural and religious diversity, the major old markets, real Varanasi-food, & plenty of cows and bulls are all found inside these alleys! Need we say more? 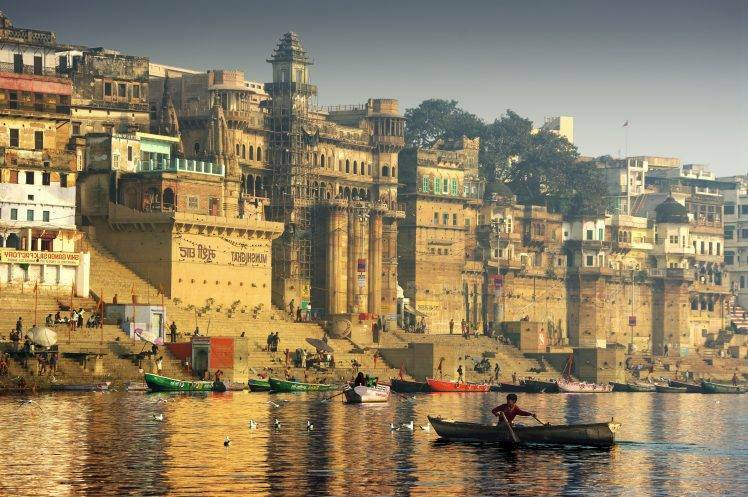 * Manikarnika: “One of the holiest among the sacred river fronts alongside the river Ganga. It is believed that a dead human’s soul finds salvation (moksha), when cremated here. Thus, scores of the elderly across the whole country seek to walk up to its edges, and spend their last days absorbing the charisma of the ghat – which makes even death painless and insignificant to be pondered upon.” This unique cremation ground will help us understand why people want to spend their last days in Varanasi. A fascinating experience. * Sarai Mohana Village: Translated means “weavers” village, the mastery here is silk weaving. The Banarasi sarees made by local weavers are among the finest saris in India and are known for their gold and silver brocade, fine silk, and opulent embroidery. * Sarnath, Birthplace of Buddhism: Considered the center of the Buddhist world, it was here that Buddha himself preached his very first sermon. Nearby is Dharmarajika Stupa, said to contain the bodily relics of the Buddha along with an outstanding museum next door well worth a visit. * On the Ganges: A delight for our photo lovers, this hour long morning boat ride will be an outstanding way to see the pilgrims standing in deep-waist water to worship the rising Sun. The early morning light is particularly inspiring and all the color and clamor of pilgrims bathing and performing puja unfolds before us. Located on the banks of the River Yamuna, the city of Agra is synonymous with the Taj Mahal – one of the Seven Wonders of the World, renowned for its beauty and historical significance. 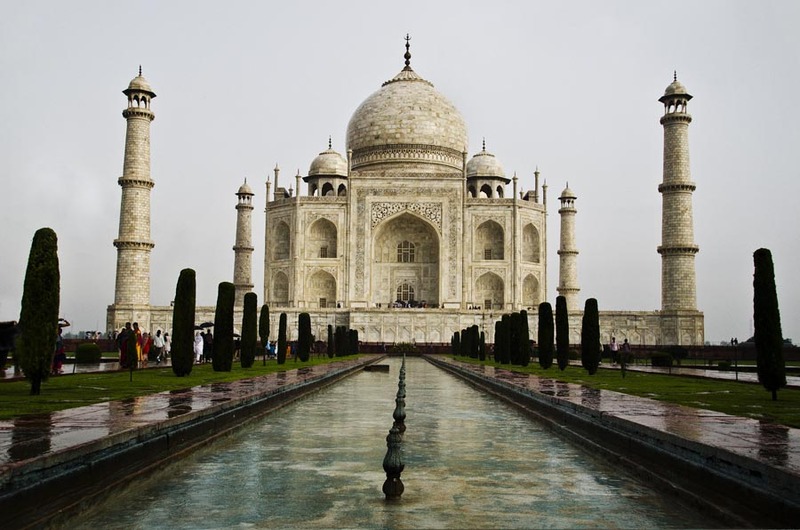 * Taj Mahal: View & photograph this master piece of marble, and the greatest monument depicting love of all time during the golden hour of sunrise! Completed in 1652, skilled craftsmen from Persia, Turkey, France and Italy and some 20,000 laborers worked for 17 years to build the most famous edifice in the world. 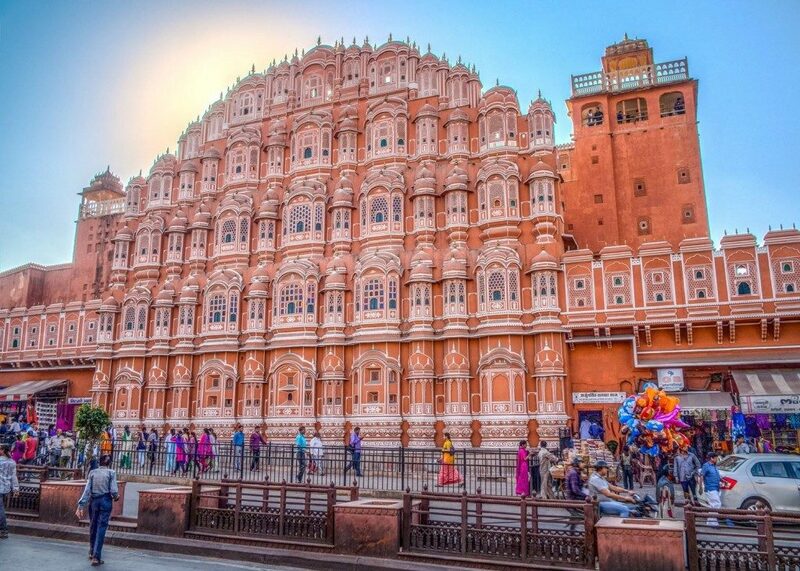 The pink jewel of Rajasthan, Jaipur’s old walled section is known as the Pink City due to its light red paint (a lucky color in Hindu culture). Jaipur is one of India’s newer cities, founded in 1727, and was the creation of Jai Singh II, the Maharaja of the Kuchwaha Rajputs, who decided when Mogul power was on the decline to move from his outmoded hillside fortress at Amber to establish a new capital on the plains further south. * Pink Markets & Bazzars: Bapu & Johri Bazaar are not just great places to shop but make for a great photo walk. The pink rustic buildings on both sides of the road leak the true essence of Jaipur! * Amber Fort: This ancient palace which doubled as a fort was at the former epicenter of Rajasthan during the 15th & 16th centuries. Now a UNESCO World Heritage site, the palace lies amidst the hills overlooking Maota Lake. It’s no doubt the finest example of Indo-Islamic architecture in the region. 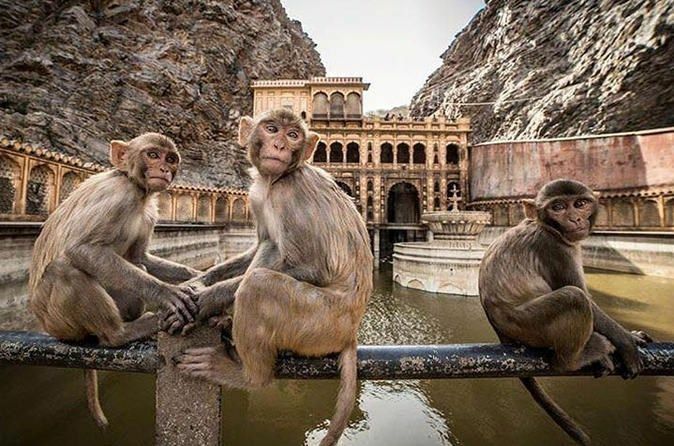 * Galtaji Temple (Monkey Temple): This beautiful temple crammed in a crevice between two mountains is not only a favorite place of “worship” for the local macaque monkeys, but a sought after pilgrimage site for Hindu’s all over India. 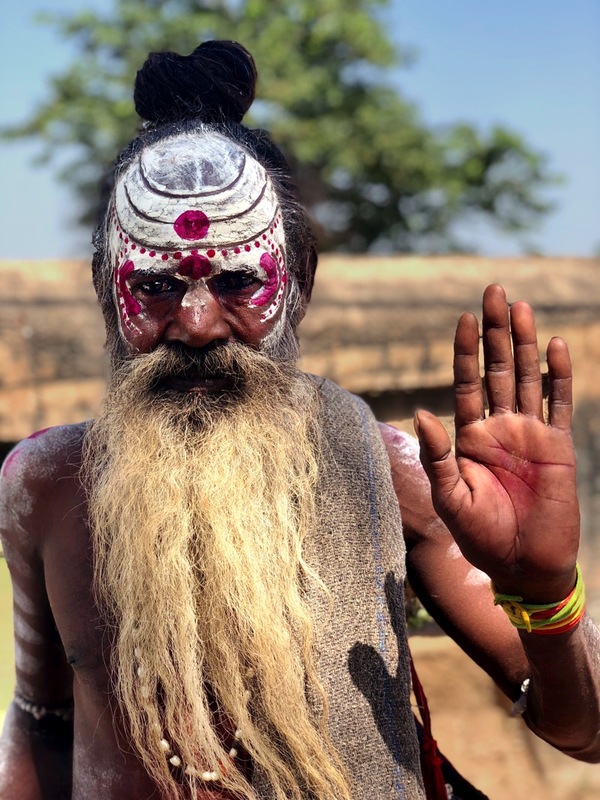 Amazing photo ops here with monkeys bathing and playing in the temple pools and pilgrims dressed in vibrant Hindu colors joyously savoring the spiritual waters themselves after the long journey. 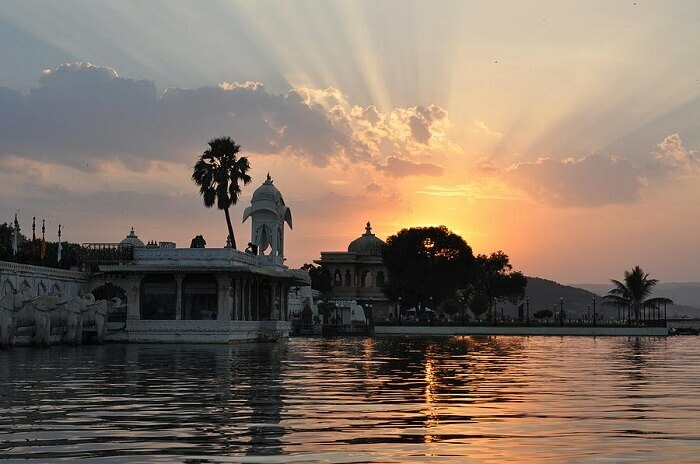 Founded in 1568 as the capital of the old Mewar state; Udaipur was the only Rajput stronghold to uphold its Hindu allegiance in the face of Muslim invasion. From the late 16th century, peace brought about an era of renaissance in the arts and encouraged the building of beautiful palaces around the lake which culminated in the City Palace, one of the largest palace complexes in the world! Undoubtedly the most romantic city in Rajasthan, and perhaps the country! * City Palace: Standing on the crest of a ridge overlooking Lake Pichola, the largest palace in Rajasthan was built over various historic periods yet still preserves the harmony of a unified design. Massive octagonal towers surmounted by cupolas serve as the flagship symbols of this great feat of human architecture. Inside we’ll find a labyrinth of courtyards richly decorated with inlaid mirror-work, galleries covered with frescos, ornate temples, and roof gardens affording a picture perfect panorama below! * Jagdish Temple : In the heart of old town, this place of Hindu worship was built in the mid-17th century and has a remarkable bronze statue of Garuda, the mythical bird, facing his revered master Lord Vishnu. The narrow streets of the bazaar surrounding the temple mark the perfect place to continue on for fantastic cultural photos! * Lake Pichola: Relax on a boat ride through the steel blue waters of the magnificent, albeit artificially created lake of the 14th century. Great images to be taken of the white phantom Jag Nivas Palace, built in 1746 as the summer residence of the rulers, reflecting off the calm waters. Sawai Madhopur & Ranthambore, Home of Tigers! This region of India is by far most famous for Ranthambore National Park, one of the few places left in the world where tigers roam free! Aside from being one of the biggest and most renowned national parks in the country, the region originally gained notoriety as the former hunting grounds for the Maharajas (kings) of Jaipur. Spread over an area of 245 sq miles, this is the the best location in India to see the majestic Bengal tigers in their natural habitat. These mystical creatures are not the only beasts to spot in the park however; Sloth Bears, Hyena, Indian Leopards, and a number of other endangered species call Ranthambore home. 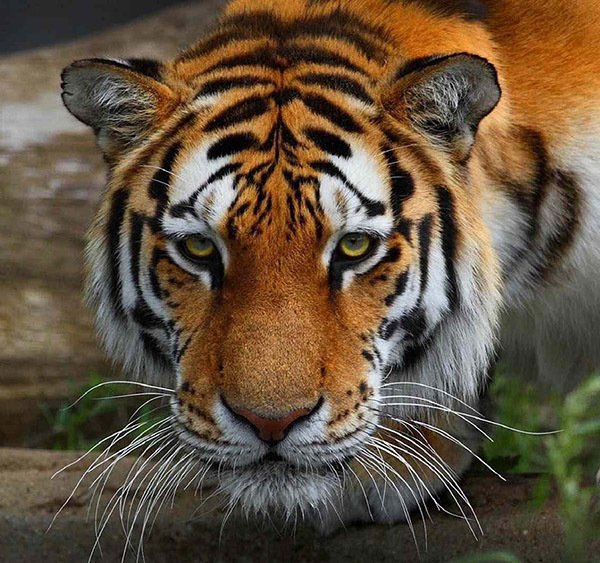 * In Search of Tigers: Our time here will be spent on safari, exploring the park to witness & photograph the beautiful Bengal Tigers in their home, along with other unique creatures only found in India. * PhotoFly Travel Club adventures are laid back when it comes to photography. They are not workshop style based tours and you do not need to be anavid photographer to join. All are welcome! * International Airfare is not included. We are happy to help you find a good flight as always! * Specific arrival/departure times needed from Delhi (DEL) will be sent directly to the group. *Notice: Payment online incurs 3% processing fee (automatically added to shopping cart).